Toronto FC signed Spanish Alejandro Pozuelo midfielder on March 4 as a designated player from Belgian club K.R.C. Genk. Pozuelo began his professional career with his local club Real Betis B in 2010 before moving to their first team in 2013, and scored his first goal against Atletico Madrid on December 18. He then signed with English Premier club Swansea City ahead of the 2013-14 season and made 36 appearances, scoring two goals and adding six assists across all competitions. Pozuelo returned to his home country, this time joining Rayo Vallecano, but only played 13 games for the club. He then signed with Genk on August 15, and played 175 games over five seasons for them. He scored 25 goals and provided 60 assists during that time. Pozuelo was captaining the side this season. 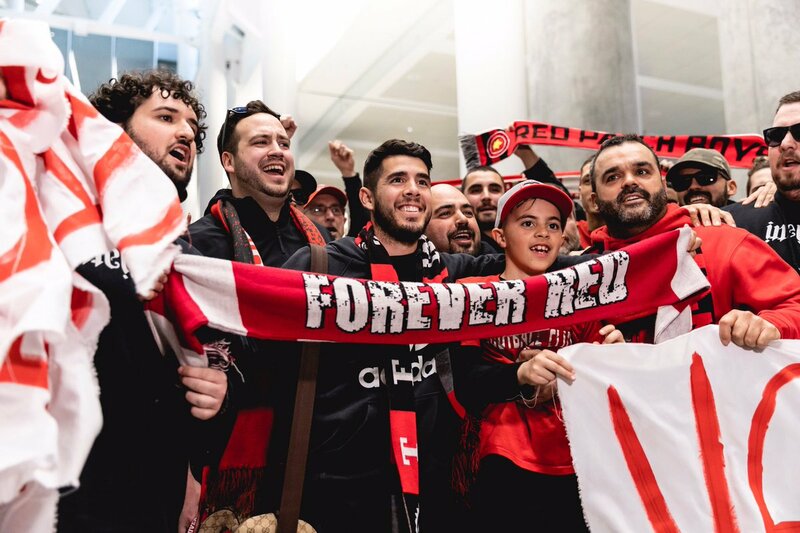 TFC supporters gave a warm welcome to Pozuelo at Toronto Pearson International Airport on Friday evening. He will train with his new teammates on Monday ahead of their game on Friday night at BMO Field. Pozuelo will wear number 10. Featured image from Toronto FC. Next PostNo Trump crimes in Mueller report: Justice Dept.